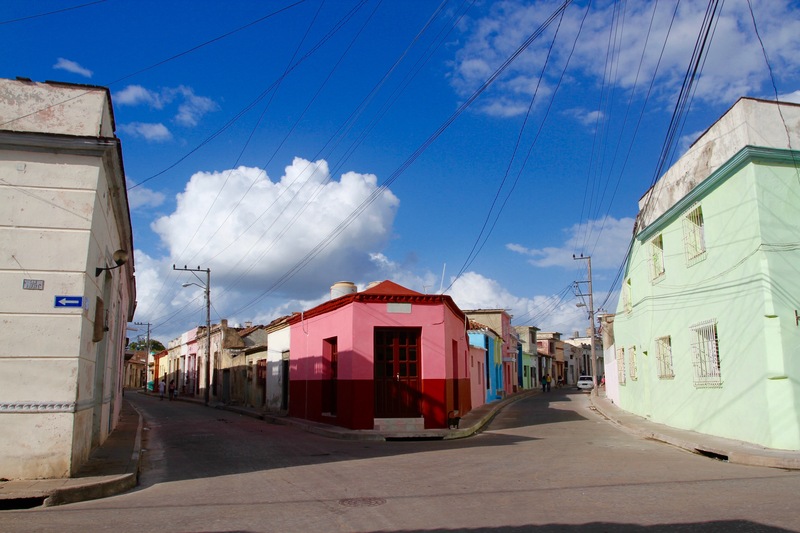 Camaguey was built with a confusing street layout, meant to baffle and disorient would-be attackers. Our first indication that they’d succeeded in this aim was when our driver stopped to ask for directions. A short time later he stopped to ask for more directions. 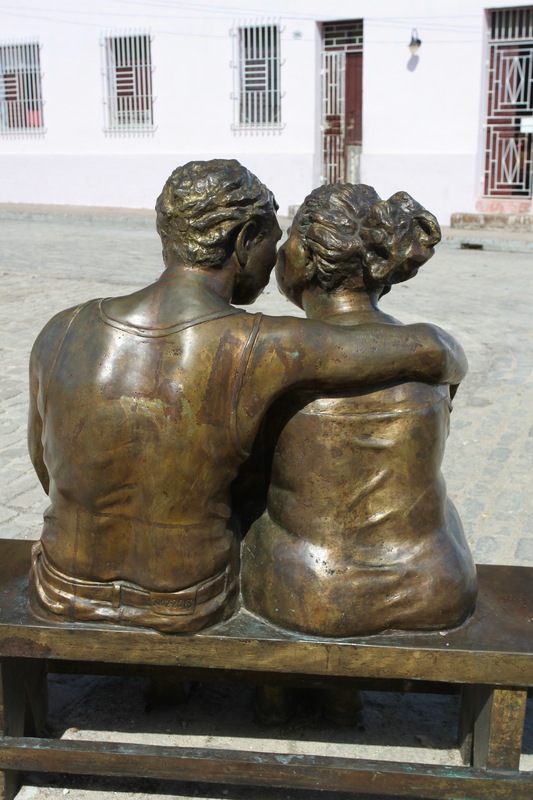 The third time, he stopped and offered a woman a lift if she’d guide us to our casa particular. We still ended up on the wrong street. 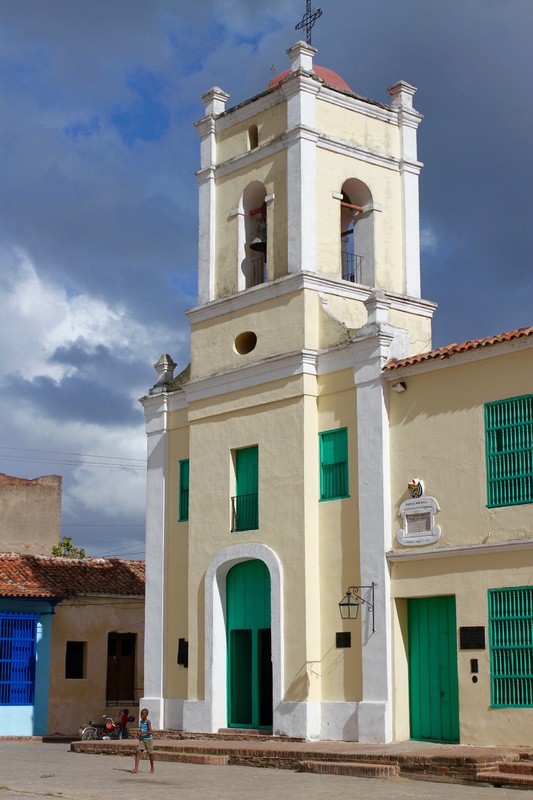 Our misadventure seemed trifling compared to the troubles Camaguey endured when it was first founded, as Santa Maria del Puerto Principe, in 1514 on Cuba’s northern coast. A wealthy hub, it was repeatedly attacked by pirates, and faced rebellions from local indigenous tribes. The town finally moved to its current inland location in 1528. This didn’t stop the pirate attacks, and it had to be rebuilt in 1668 after a particularly destructive raid by Welsh pirate, Henry Morgan. It was after this that its haphazard street pattern took place. 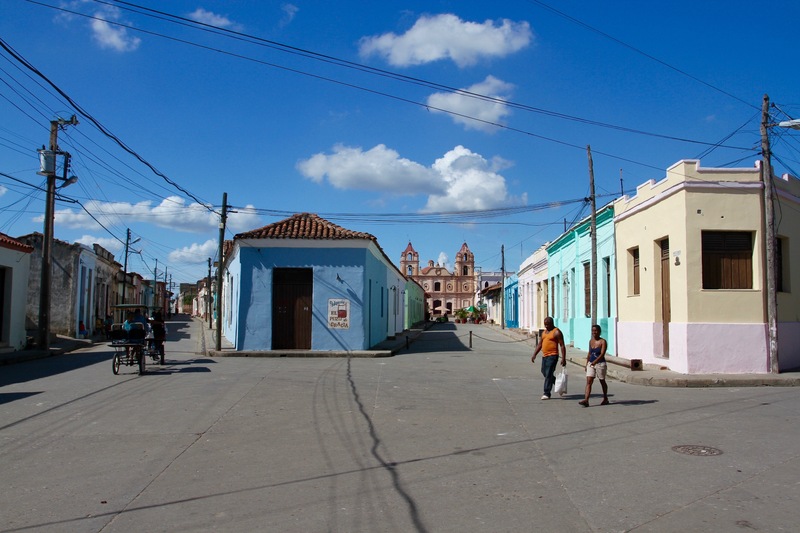 Some commentators compare Cameguey’s maze of streets to an Arabic medina. These commentators have clearly never been to Fez in Morocco where, without the aid of a guide, you could wander for days without ever finding your way out. There were times when we were a little disoriented, for sure, but unlike Fez we never had to resort to paying someone to lead us to safety. 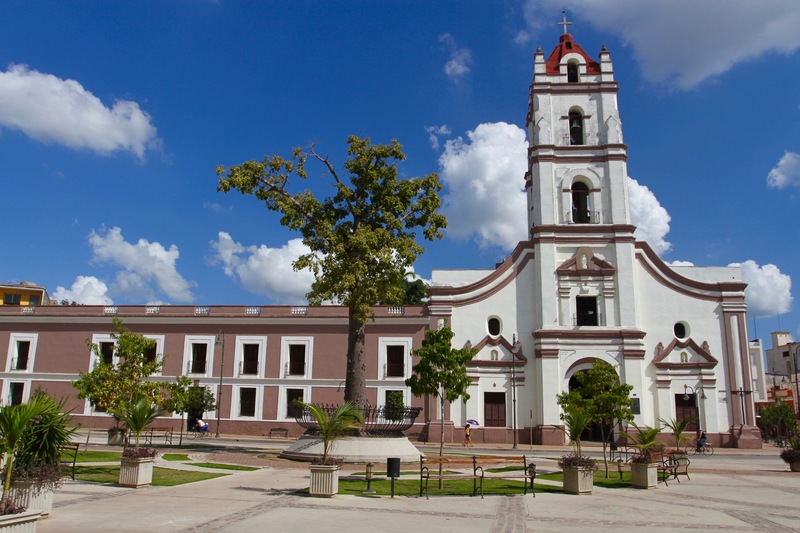 Camaguey should really be known for its numerous lovely plazas, the premiere example of which is the colonial-era Plaza San Juan de Dios. 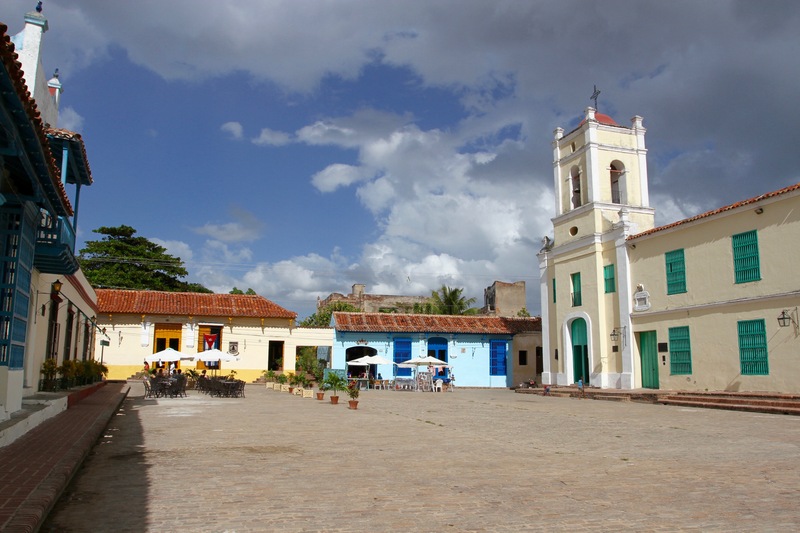 It’s a picturesque place with some nice restaurants that have tables with umbrellas; it’s perfect for having a mojito and watching children playing football, itinerant musicians playing the nearby bars, and the occasional tour group sweeping through. 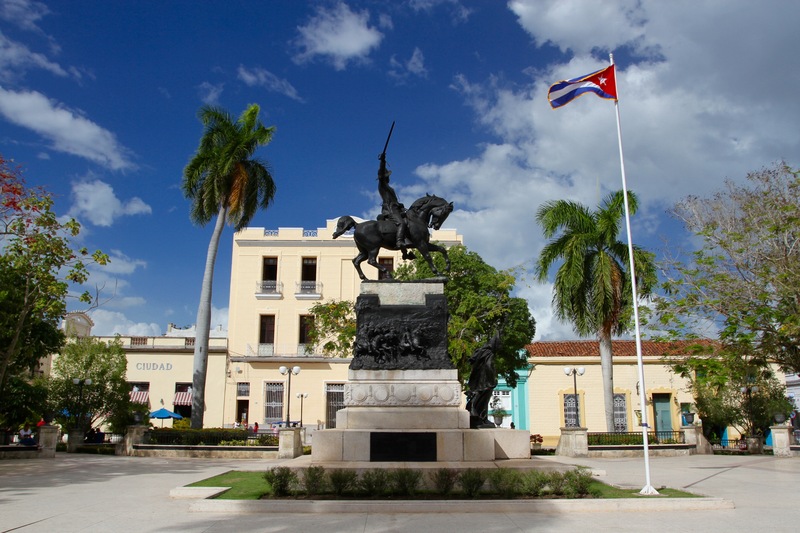 Walk through a tangle of narrow streets past the ‘five corners’ and you’ll arrive at another splendid square, Plaza Del Carmen. 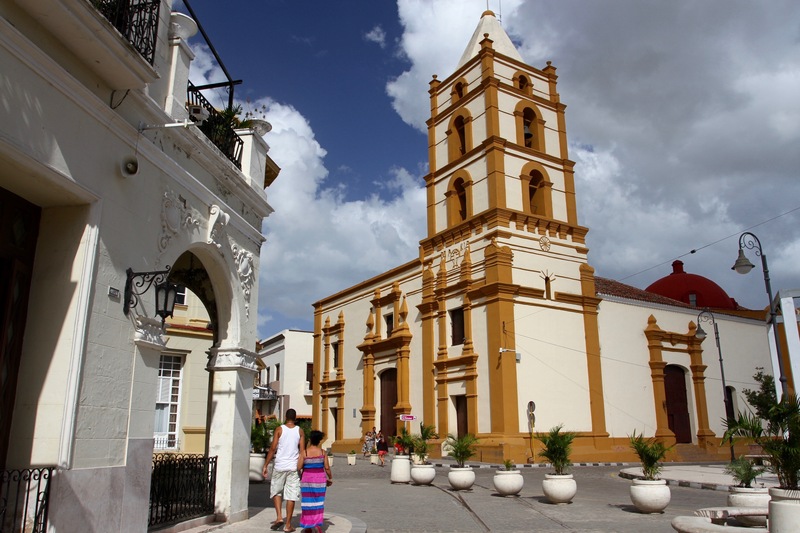 You approach down a narrow street lined with pastel-coloured houses with a pretty colonial church at the far end. 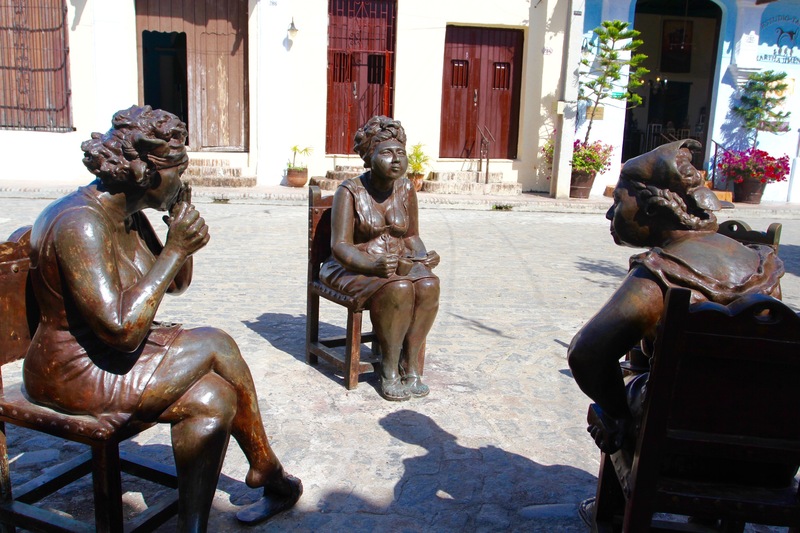 The real delight is a series of humorous statues depicting scenes of daily life in this traditional barrio: women gossip, lovers get intimate and a man reads a paper. 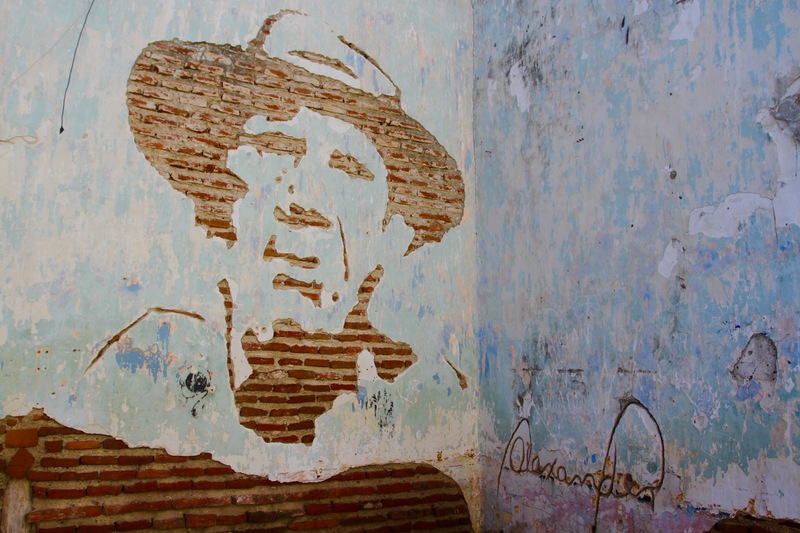 Another favourite was the Plaza de los Trabajadores, with its visually oxymoronic Iglesia de Merced on one corner and a large mural of Che Guevara opposite. Inside the church there was a tour group of pilgrims – an unexpected sight – underscoring Camaguey’s reputation as Cuba’s most Catholic city. At night one corner of the plaza became an informal dance hall. It was a lot of fun. 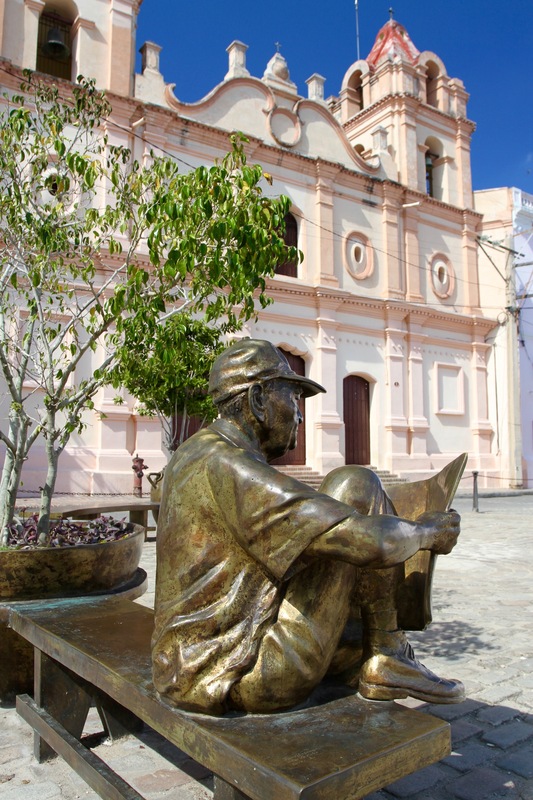 Our guide book said to be aware of street crime in Camaguey, but we walked around the town day and night without ever being hassled or feeling insecure. 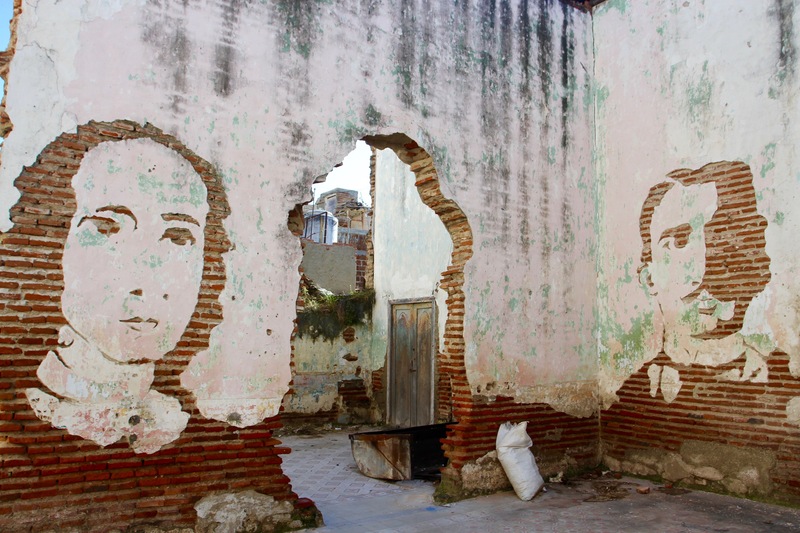 It’s a peaceful and clean city that belies its status as the country’s third largest. People were helpful and friendly, the worst thing I could say is that after walking up a dozen flights of steps to reach the rooftop bar of the Gran Hotel, it wasn’t open. We were staying in a lovely casa particular. The owner, Rafael, gave us lots of tips on places to go, and barmen who made the best cocktails. 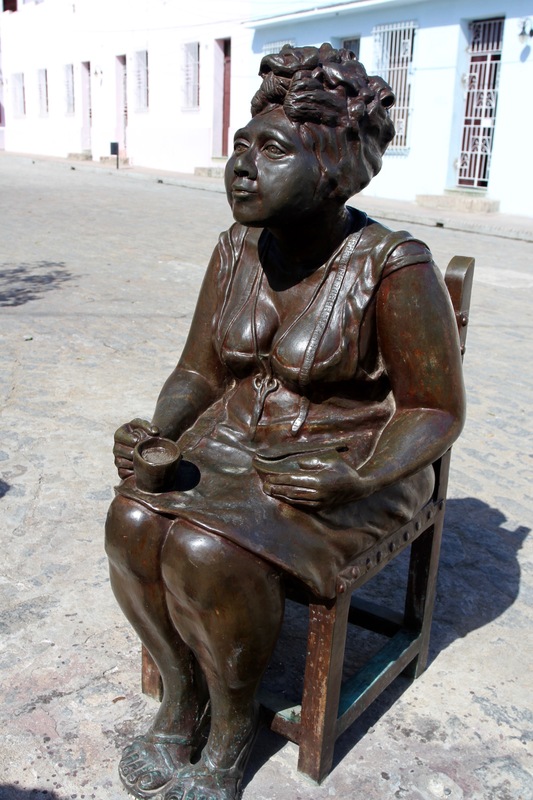 He even found accommodation for us at the Playa Santa Lucia when we moved on from Camaguey. Before that though, we had a lot of exploring to do, wandering the twisted streets and taking in scenes of day-to-day life. This included an alarming number of pig roasts taking place in the street. We were on our way to the cemetery when we first saw a pig being manhandled and hung from a tree while it was gutted. Not a sight for the squeamish. 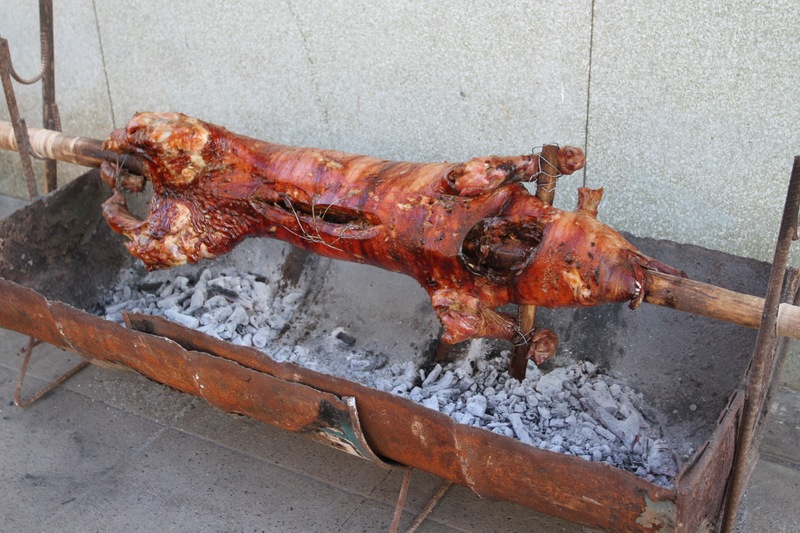 The pig was unceremoniously skewered on a large pole that entered one orifice and exited another. 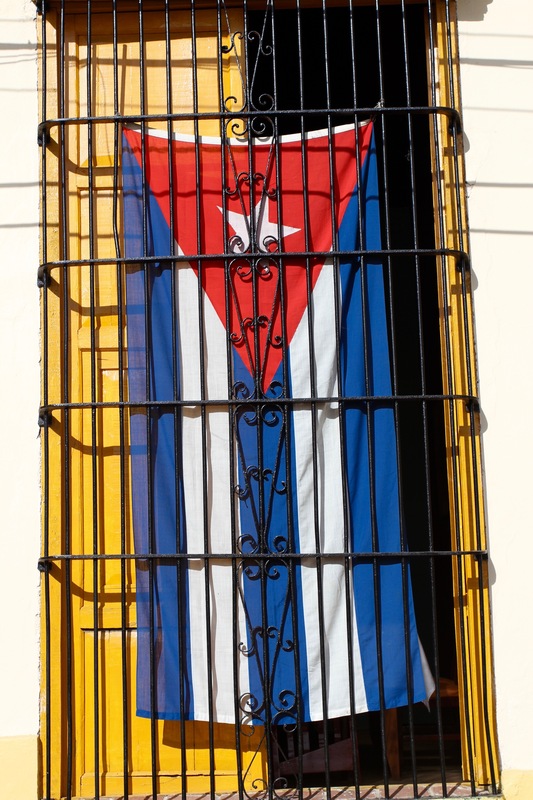 There is no dignity in death for the pigs of Cuba. It doesn’t make them less tasty though. It is, a really interesting city that still feels a little off the tourist trail. It’s worth the journey – however short! 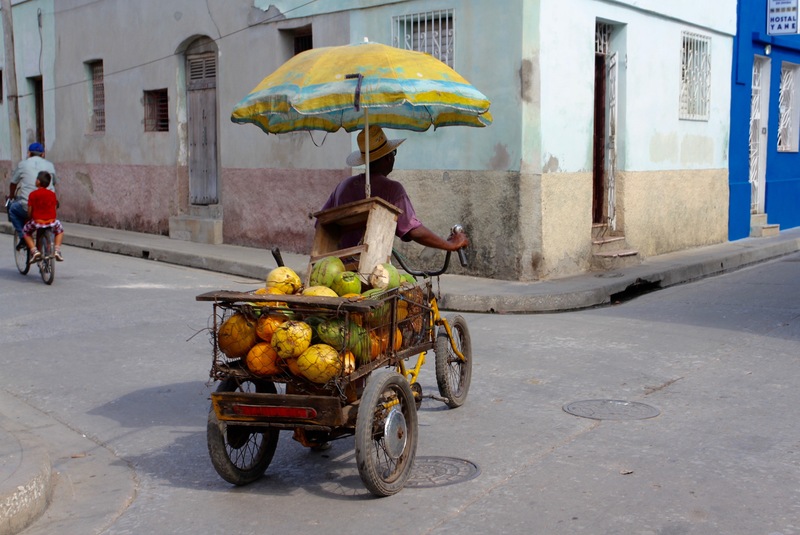 Although things will change quickly over coming years, it will take a while before the Cuba of today becomes only a memory.